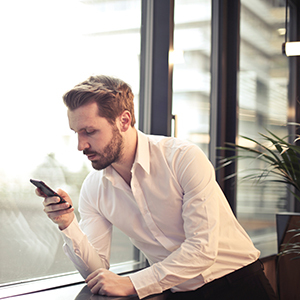 An average employee spends 56 minutes per day using his/her phone for personal reasons. While this is an astounding amount of time, it shouldn’t come as a surprise. Technology has the capability of bringing more people together, and the communicative abilities of cell phones do this very well. One thing the 5 inch screens have also done is refocused our attention away from our immediate surroundings. This is something many struggle with at restaurants as they work to balance attention between those present and those online. Some revert to a phone tower – all phones stacked in the middle of the table and the first person to grab their device foots the bill. At the end of last year, a restaurant in Manhattan implemented a system for diners to dine in the moment. The restaurant decided to place small boxes on each table to act as storage for devices during dinner. The system is completely voluntary and gives customers freedom to do so, or not. Since keeping phones away from the dinner table is hard, it is no surprise that this is also true in the workplace. Apart from wasting time on social media, the simple notifications that surface throughout the day result in a loss of productivity as well. The probability of making an error after receiving a phone call or text increases to 28 percent and 23 percent, respectively. More shocking, however, is that these numbers are close to those who actually answered the call or texted back. The vibrations and sounds that come through our phones give us pleasure and gratification, a term called nomophobia. Basically, we’re addicted to notifications. How can we curb our addiction at work? Our devices are often part of our daily work procedures – fetching email, communicating between colleagues, etc. Yet, we need to find a balance to improve productivity. Power down. The ultimate distraction eliminator that helps with limiting errors and interaction with anyone out of the office. Do Not Disturb. This function is found on most smart phones, and turns off notification alerts to minimize distractions. Putting this on during the work day will help with minimizing errors while still being able to check in every once in a while. Schedule online time. Often, staying logged off for the entire day is hard and unrealistic. Giving yourself breaks throughout the day can also aid in productivity, and doing so in a scheduled way helps when trying to focus energy.